We sat down with Star Wars: The Last Jedi cast members from the dark side and the light. To experience Star Wars: The Last Jedi in IMAX, click HERE. 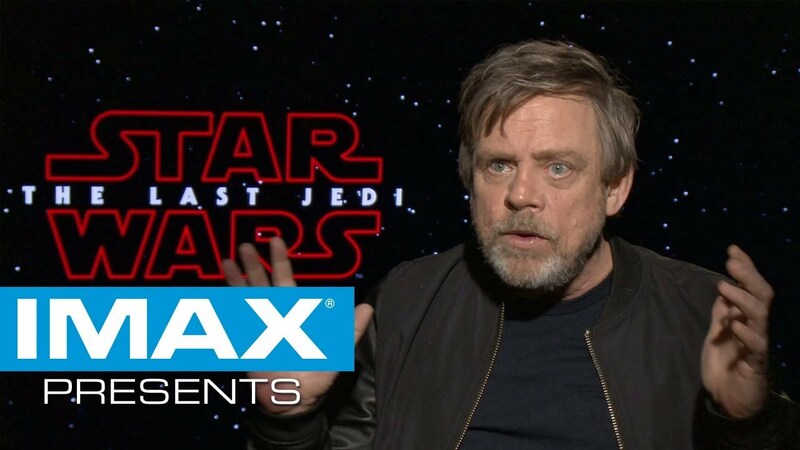 The IMAX release of Star Wars: The Last Jedi will be digitally re-mastered into the image and sound quality of The IMAX Experience® with proprietary IMAX DMR® (Digital Re-mastering) technology. The crystal-clear images, coupled with IMAX's customized theatre geometry and powerful digital audio, create a unique environment that will make audiences feel as if they are in the movie.